Petra Laurentien Brinkhorst was born in Leiden on 25 May 1966 to Laurens Jan Brinkhorst and Jantien Brinkhorst-Heringa. Princess Laurentien received her secondary education in The Hague and later at the Lycée Français in Tokyo, Japan, where she passed the Baccalauréat A examinations. The Princess studied history at the University of Groningen, completing her foundation year in 1986. She received her Bachelor of Arts degree in political science at Queen Mary College, University of London, in 1989. In July 1991 she obtained her Master of Journalism degree at the University of California at Berkeley. Princess Laurentien married Prince Constantijn in The Hague on 17 May 2001. The marriage was blessed on 19 May 2001 in the Grote of St Jacobskerk in The Hague. Princess Laurentien and Prince Constantijn have three children. Their first daughter, Eloise, was born on 8 June 2002, their son Claus-Casimir on 21 March 2004 and their second daughter, Leonore, on 3 June 2006. The family lives in The Hague. Besides her official duties as a member of the Royal House, Princess Laurentien performs a wide range of professional activities. The Princess has been active in promoting literacy since 2001. Stichting Lezen & Schrijven (the Reading and Writing Foundation) was set up on her initiative in May 2004 to prevent and reduce functional illiteracy. In 2009 Princess Laurentien was designated UNESCO Special Envoy on Literacy for Development. In this capacity, she acts as an advocate for the cause of literacy all over the world. In February 2011 the Princess was appointed Chair of the European Commission’s High Level Group of Experts on Literacy. The Group published its Final Report in September 2012. In November 2017 Princess Laurentien resigned as honorary chair of Stichting Lezen & Schrijven, but she continues to closely follow issues surrounding illiteracy in the Netherlands and abroad through her UNESCO role. Princess Laurentien’s commitment to sustainability and nature conservation is reflected in her work for the Missing Chapter Foundation, which she set up in 2009. The foundation encourages decision-makers to take the perspective of children and young people into account. In 2014 the foundation launched the Kids Council, a platform which invites children to explore the strategic dilemmas facing businesses, NGOs and local and national government. Based on their own research and interviews with management board members, the Kids Council offers new insights and possible solutions. In 2009 Princess Laurentien published the first in a series of children’s books which centre on a character called Mr Finney and deal with issues such as sustainability and climate change. The second book in the series was published in February 2011, and the third in November 2013. The Princess has written several other books, including De Sprookjessprokkelaar (with Paul van Loon, 2014) and Nog Lang en Gelukkig (with Jeroen Smit, 2016). Since late 2012 Princess Laurentien has been the President of Fauna & Flora International (FFI), the oldest nature conservation organisation focusing on the protection of threatened animal species and ecosystems worldwide. The Princess was first associated with the FFI in 2003, initially as a member of the Executive Committee and then as Vice-President until she was appointed President. She is also Fellow of the European Climate Foundation, member of the Board of Trustees of the Oceano Azul Foundation and Special Advisor for Rewilding Europe for the WWF (World Wide Fund for Nature). In 2017 Princess Laurentien and Prince Constantijn set up the Number 5 Foundation, a charity which is currently developing various innovation initiatives to address a range of social issues. 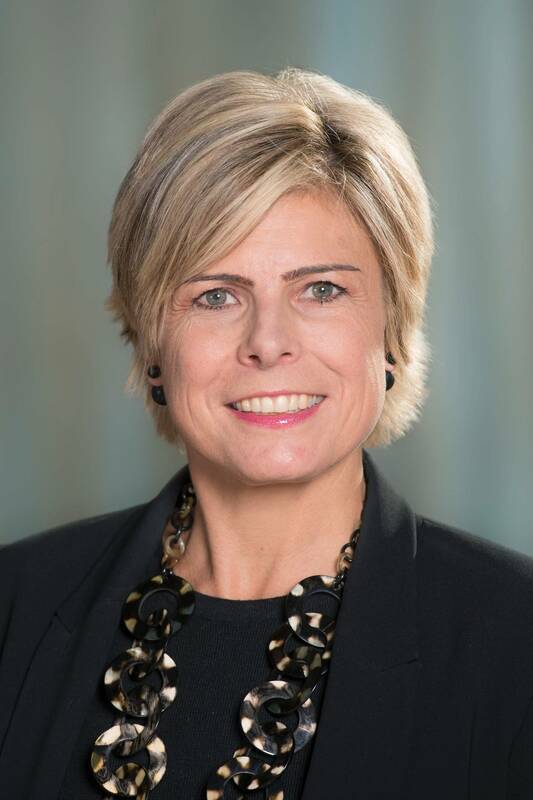 Between 1996 and 2003 Princess Laurentien worked in international communications, for companies including Weber Shandwick and Edelman PR Worldwide. She then became an independent adviser, working for clients such as the World Wide Fund for Nature and Estée Lauder. In 2017 she launched her own social enterprise, House of Hi, a strategic and creative consultancy studio.